What a wonderful homecoming! 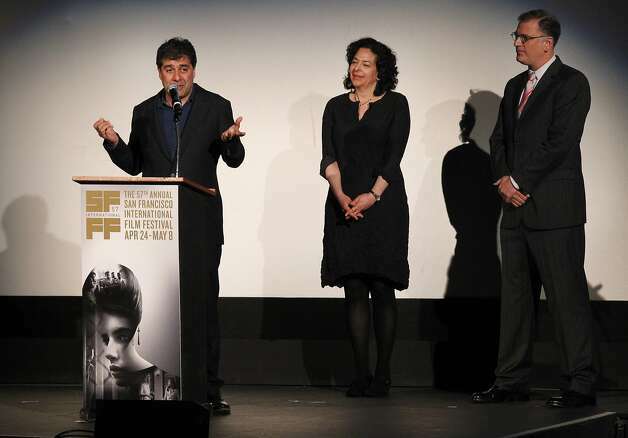 Back in town for the San Francisco International Film Festival and hilariously, after a wonderful Opening Night film and party, a photo of me appears in the SF Chronicle! 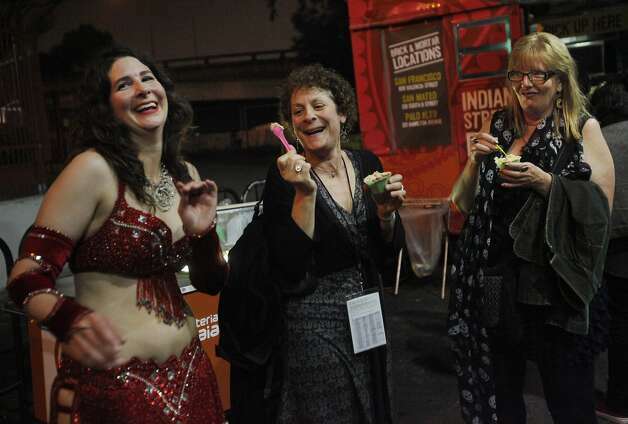 My friend Joanne Parsont, Director of Education for the San Francisco Film Society, is attempting to share her gelato with a belly dancer from the party! It’s not too often that you come to town for a film festival and show-up in the paper the next day! Belly dancers need gelato too! The party at Public Works was light on food but not crowded. 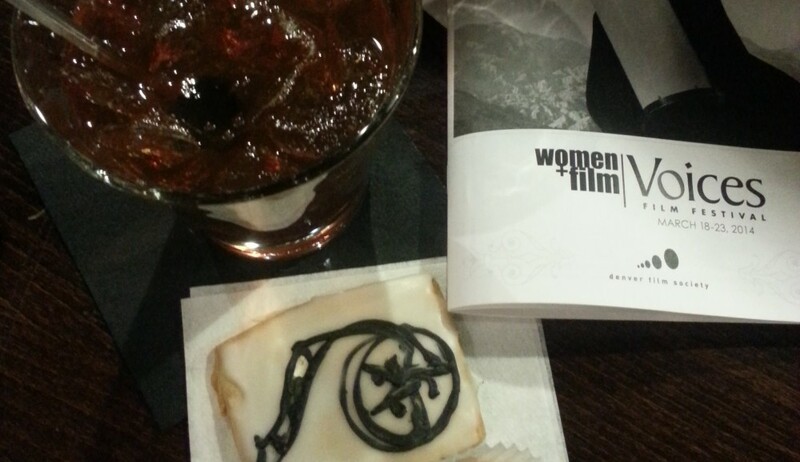 There was a lively crowd of film-lovers and a great band–there was dancing and libations and fun to be had! Even the drizzle outside was offset by the Indian Street Food truck serving tater tots covered in masala sauce and cheese. As the belly-dancers shimmied in the night, we devoured the gelato and celebrating the kick-off of another world-class event! This entry was posted in Uncategorized and tagged Castro Theater, Hossein Amini, Joanne Parsont, San Francisco International Film Festival, The Two Faces of January, Wings of the Dove by Jill. Bookmark the permalink. Fun to “make the news” while also covering that which is newsworthy, like the film festival!